Digital indicators are flexible devices which can be used in many different fields such as industry and research, as well as for a wide variety of measurement works. 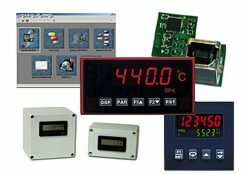 Digital indicators allow the user to view diverse parameters such as temperature, humidity, vibration, normalized signals, etc. Digital indicators with frame insertion are usually mounted on a panel together with other digital indicators or control systems. Digital indicators have a case so they can be used as mobile devices. 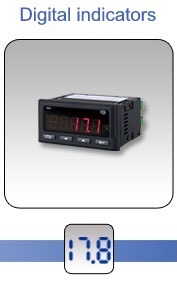 Digital indicators with IP 65 protection can be used in harsh conditions. 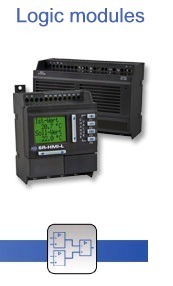 In addition to standard signal measurements and indications, digital indicators can also measure other physical quantities, for instance temperature or force by means of sensors which are directly connected to the indicator. Digital indicators are normally programmed in situ by means of the keypad, however, some can be set using a PC. The advantage is that programmed settings are stored, so other digital displays can use the same setting to save time, especially when different digital indicators should do the same work. Additionally, this function protects digital indicators against a misuse. Digital indicators programmed via a computer can be delivered with a previous setting. If you have questions about the digital indicators, contact us: UK customers +44(0) 23 809 870 30 / US customers (561) 320-9162 . Our technicians and engineers will be happy to advise you on these and other digital indicators and on the other products in the field of regulation and control, scales and balances. For a proper work of control systems it is necessary to acquire, apart form digital indicators, other measuring instruments such as sensors or transducers. These instruments can also be found among our wide variety of measuring devices. To change the category, simply click on the respective image. Digital indicators are used in those places where process values must be shown in situ. Digital indicators can be adapted to different applications. In addition to the indication of measured values, digital indicators can also be used for control works or as transducers. These possibilities can discharge the global system and shorten the projection time. Most of these devices can be equipped with diverse interfaces. 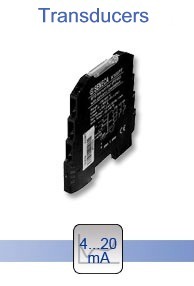 Apart from the standard analogue signal output, they can also have digital interfaces (i.e. RS-232, PROFIBUS). If you wish to print a selection of digital indicators from our catalogue, please click the PDF symbol.